Easier way to pack up toys at home and anywhere - JUST TAKE IT, AND GO~! 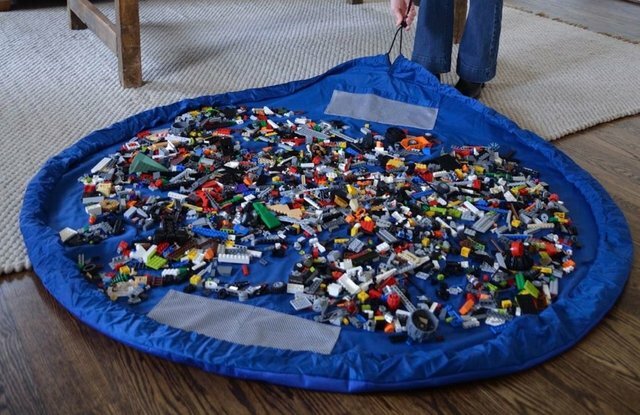 Lay-n-Go is the answer to this problem as it's a Playmat that transforms into storage bags for LEGOs, Happy Meal toys, Surprise Eggs, My Little Ponies, Shopkins and so on. Each Lay-n-Go is 6o-inch wide and is sold at around $ 65 (~ RM 273). Parents, you need this! But it's a good adaptation for parents to quickly transport toys from living room to bedroom.